[PDF] Merlin: The Book of Magic | Free eBooks Download - EBOOKEE! 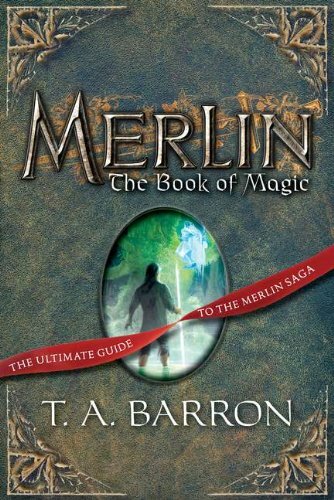 Description: The ultimate guide to T. A. Barron's Merlin epic! A luminous gift for fantasy fans! In this extraordinary guide to T. A. Barron's award-winning and New York Times bestselling Merlin saga, readers will discover the mysteries of Merlin's worlds as never before. The guide includes full-color art, seven maps, and information about the creatures, places, and magic in Merlin's worlds. Glowing with beautiful art and surprising details, this is a treasure trove of adventure and delight - as well as a collector's item for Merlin fans of all ages. No comments for "[PDF] Merlin: The Book of Magic".